Teresa Barucci in Editor's Picks History on 21 November, 2016. The earliest universities to develop were in Italy: Salerno in the course of the ninth century, and Bologna in 1088. Then came Paris (active from around 1150), Salamanca (established in 1134), Oxford (active from 1096, but established in the 12th century), Modena (established in 1175), Cambridge (established around 1209), alongside many others. These universities evolved from much older Christian monastic schools: this is why it is often difficult to define the exact date at which they became ‘true universities’. And perhaps, after having been excited to hear that Durham University is the third oldest university in England, we were almost disappointed to read on our stash that Durham University was ‘only’ founded in the 19th century, in 1832. So recent: how will we hold our head up in the proverbial competition between Oxbridge and Durham? But to be fair, the ‘informal’ history of our university begins much earlier, and dates back to the 13th century or even before. This fascinating prehistory is often left unexplored, and certainly warrants much more discussion. Durham University, in practice, is the inheritor of a tradition of learning and scholarship starting with Bede and Cuthbert themselves. The 7th century was an exciting period for Durham. After the Dark Ages, the North East of England saw an extraordinary blossoming of thought and culture. Bede (died 735), the greatest European scholar of the 7th century and the father of English history, is buried in Durham; St Cuthbert (died 687), who is responsible for the spread of Christianity in the North of England, is buried here too. The Lindisfarne Gospels were produced nearby and resided in Durham until the 16th century. 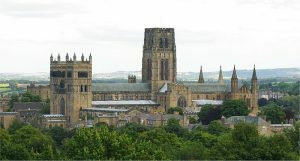 The monastic community based in Durham was one of the richest in Europe, and Durham soon became one of England’s leading centres of medieval scholarship, along with Oxford and Cambridge. This scholarly, monastic community is precisely the precursor of the modern University. Indeed, such a community needed to train and educate its future members. Three Colleges which are now part of Oxford University were founded from Durham for this exact purpose: University College (the oldest college in Oxford or Cambridge, founded before 1249), Balliol College, and Durham College, which in 1286 was run from Durham to train Benedictine monks. Although initially without a permanent income, in 1381 the last College was endowed by Bishop Thomas Hatfield of Durham to become Durham College, consisting of eight monks and eight secular scholars. This was but a small and short-lasting victory for Durham: at the Reformation in 1540, Durham College was dissolved and its revenues passed to the reformed Durham Cathedral. Henry VIII soon proposed to found a northern University in Durham (1541), but the plans were dramatically scaled down: from a big college with a provost and professors of Greek, Hebrew, divinity and medicine, to a rather small grammar school with a headmaster and an assistant master paid from Cathedral funds. There was a brief attempt to continue the college in Oxford as a secular foundation, but this lasted less than a year: the site was sold in 1555 and used to found Trinity College. The name ‘Trinity’ is thought to echo Durham College’s original dedication: to the Virgin, the Trinity and St. Cuthbert. One surviving building of Durham College is the Old Library, completed in 1421. Durham’s sojourn in Oxford was finished. In 1649 the cathedrals of England were dissolved by Act of Parliament, leaving Durham Cathedral and the Castle unoccupied. A number of petitions were presented to Cromwell, who finally in 1657 issued a letters patent to create another Durham College. The college was granted an endowment of lands formerly belonging to the Cathedral, the buildings of the College and the Cathedral library. But unfortunately, the letters patent did not give the college the powers and the name of a university. A further petition was made to Cromwell in 1658, but nothing was done before he died. 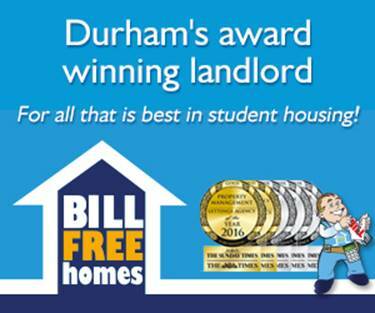 Durham University –still Durham College- had already faced a lot of difficulties, but the worst was still to come. In 1659, Oxford and Cambridge petitioned Richard Cromwell against any grant of university powers to Durham College. The College was also opposed by George Fox and other Quakers as being designed to prepare ministers. But the situation got even worse: the Restoration led to the re-establishment of the Cathedral chapter and to the closure of Durham College. It looked like the end. But then in the first half of the 19th century, something changed. In 1831 the idea of founding a University at Durham was revived by Charles Torp, a prebendary of Durham and domestic chaplain to Earl Grey, the Prime Minister. On 28th September the Chapter passed an Act officially founding ‘an academical institution’, and by the end of the year, this institution was being advertised as the University of Durham. 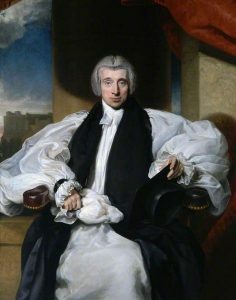 In 1832 William Van Mildert, the Bishop of Durham, introduced a bill in Parliament entitled “an Act to enable the Dean and Chapter of Durham to appropriate part of the property of their church to the establishment of a University in connection therewith”. The effects of the bill were these: to establish a university as a charitable trust under the control of the Dean and Chapter of Durham, and to allow the University to use the Castle and other parts of the Cathedral property. The bill was passed with the support of Earl Grey’s government, and received Royal Assent on 4th July 1832: this is taken as the university’s foundation date. The history of Durham University involved a lot of ups and downs, dead points and small victories. A real roller coaster. From a ‘miscarried’ university to a university in the UK top ten for 30/32 subjects (the 2017 Complete University Guide). Regardless of what we study, Durham can teach us a real life-lesson: never surrender!